Chesterfield Visitor Information Centre has been highly commended in a prestigious industry awards ceremony. 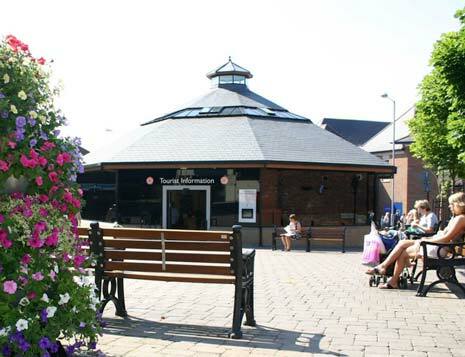 The centre in Rykneld Square, operated by Chesterfield Borough Council, received the accolade in the visitor information provider category of the VisitEngland awards for excellence 2015. Councillor Amanda Serjeant, Chesterfield Borough Council's cabinet member for town centre and visitor economy, said: "The VisitEngland awards for excellence are prestigious national awards and I am proud that our Visitor Information Centre has been nationally recognised. 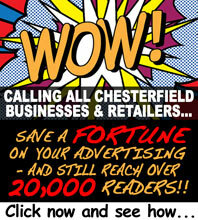 "Our friendly, hard-working staff are the first contact many visitors have with Chesterfield. Their knowledge about the borough and the wider area, including the Peak District, is second-to-none and this award is well-deserved." James Berresford, VisitEngland's chief executive said: "It is a great achievement to win a Highly Commended Award in a field of very high quality applications. "The award places Chesterfield Visitor Information Centre in the top five businesses for excellence in their category in England. I warmly congratulate them on this achievement." Ben Tagg, Hudson's Media & Guestlink, sponsors of the visitor information provider of the Year Award said, "As the publishers and information providers for the official tourist board guides for star-rated accommodation, we are proud to again be sponsoring the Visit England Visitor Information provider of the year award. "Congratulations to Chesterfield Visitor Information Centre and we look forward to their continued success."